Each magazine has a deadline for submissions. You can send us your birth stories and articles by the submission deadline outlined in the left column. If you don’t care when your submission is published, or if your submission does not fit a specific theme, we are still interested. Send them to us at any time during the year. For articles, best to contact the Editor in Chief in advance to gage interest before you take a lot of energy writing it…unless you just love to write (way to go). 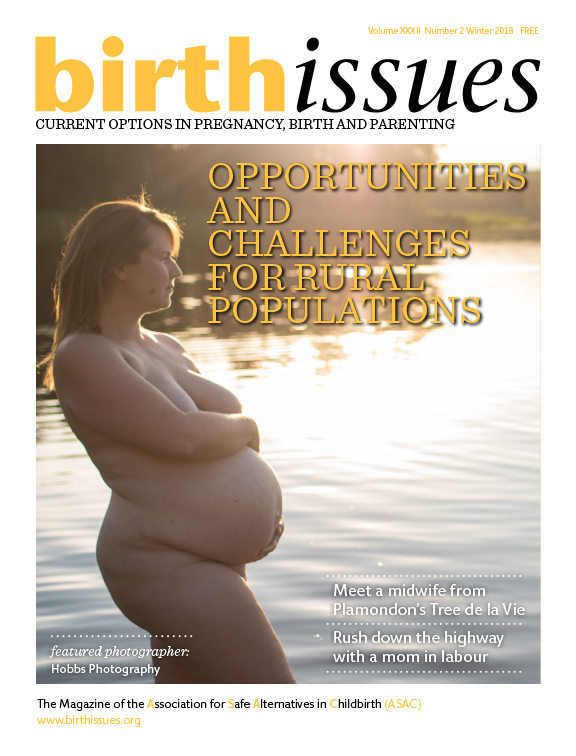 Birth stories, articles, poems, birth announcements, letters to the editor, and photos. Yes. You do not need to have given birth or be a birth professional to contribute. If you are a writer, that’s great too! We are always interested and absolutely thrilled to have you contribute. What kind of articles are you looking for? Mainly articles on pregnancy, childbirth, and newborn period. It can include prenatal education, making informed decisions, childbirth options, risks, hypnosis, environment of birth, home or hospital births, birth centres, midwifery, undisturbed chilbirth, pros and cons of medication, physiology of childbirth, doula support, vbac (vaginal birth after a cesarean), acupuncture, physio, massage, chiropractic care, psycho-analysis to overcome trauma, breastfeeding, empowerement, and postpartum depression. What do you discourage in articles? Articles that are actually long-form advertizements of a business. Articles that are scratching the surface of a topic. Claims that are not supported by research. Although we understand that there is a large gap between knowledge and actual research, we are confident that somewhere in the world this research exists. If a subject is dear to you, and you cannot find research to support it, write your story and share your personal opinion on the subject. It will be treated as a story rather than an article. 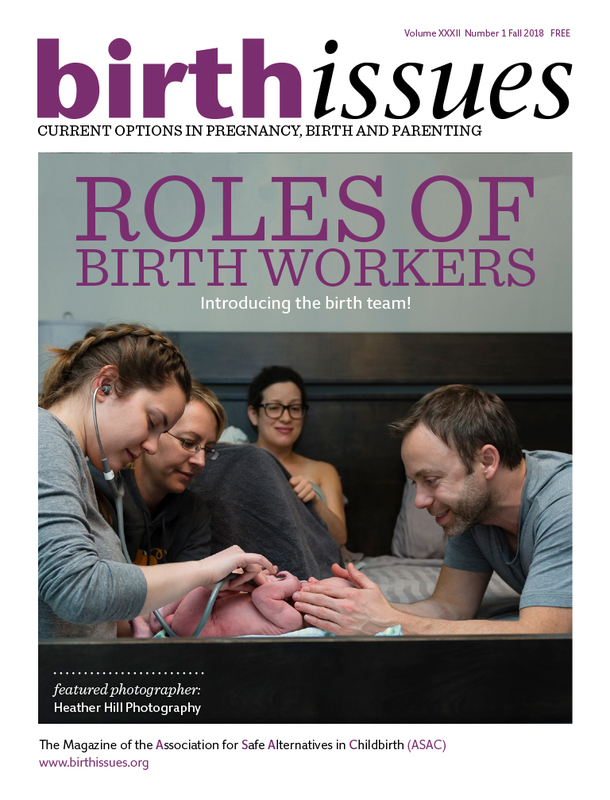 What articles are outside of the scope of Birth Issues? Articles focusing on sterility, abortion, conception, elective cesarean sections, unassisted births or freebirths. We feature stories that empower, educate, and inspire. You can even make us laugh! They can be quick and easy births or long hard-working labours. They can be babies born at home, hospital, or in birth centres. Low or high risk births. First or 10th birth. Births of teen or older moms. Single or moms in relationships. Births of heterosexual or LGBTQ parents. Mainstream or hippie births. Rural or urban births. Doctors, nurses or midwives giving births. Medicated or unmedicated labours. Births attended by a midwife, doctor, nurse, doula or only by family members. Vaginal births after cesareans. Babies presenting breech or posterior. Water births. Premature or surprise births too. We also welcome stories of stillbirths and miscarriages. What do you discourage in stories? Sensationalism, fear-mongering, drama, hearsay, urban myths, bias, uneducated comments, rudeness, and slander. What stories are outside of the scope of Birth Issues? Stories of births by elective cesarean sections. What do you encourage in stories? Timelines and facts. Think of who was present, where you were, what you were thinking at every point, how you made your decisions, how you educated yourself, what you loved and disliked, what helped, what you learned, what you would do next time. If you make a statement about the benefits or harm of certain procedures please make sure you reference it with proper research. If there was trauma involved, make sure your story is balanced and has enough context that explains where you are coming from. Don’t forget to include the time of the birth of your baby (babies), weight, measurement, and names. I am not sure I am ready to tell my story as it happened. What should I do? Part of the reason behind Birth Issues‘ longevity is the reality that childbirth affects us deeply. The beauty that lies deeply within the exercise of writing is one of reconning, understanding and healing. Part of the reason for writing your story is also to be witnessed and acknowleged. There is profound comfort in knowing that you are not alone. Sometimes the process can provide a measure of clarity and access to resources. Your fragility will be a gift not only to yourself but also to others — thanks to your experience our readers will learn and grow. If you are concerned about your child reading the story and that they may feel that their birth wasn’t special or beautiful, know that a difficult journey does not mean it wasn’t precious. What happens once I have emailed my story, article, poem, announcement, or listing? The Editor in Chief will answer you within 2 weeks. If not, email back with Birth Issues written in the subject line of your email. The Editor in Chief will let you know whether your submission will be printed or not, and if needs editing before publication. The Editor in Chief will also inform you about the editing and proofreading procedures. All accepted submissions will be published. Once editing is completed, your submission will be kept and published once a spot opens up. Most articles are published within 3 months but stories have a longer waiting period of up to 2 years. Once we have a spot for your submission, we will email you to inform you of the good news and the date of the publication. We will also make sure we have an up-to-date bio and address to send you a copy of Birth Issueswith your submission! Can I send you photos? When you send your birth story, we would be delighted to publish the real photos of your birth as well as a current family photo. You can send professional or non-professional photos. If you send photos taken by a professional, please include the business name of the photographer so we can credit them. Professional photographers can also send us their pregnancy or birth photos. We have a Featured Photographer feature, if interested please contact our advertising representative at bi_ads@asac.ab.ca.